For the past year or so, Playstation Vita owners have been clamoring for a new, big-budget exclusive AAA title. The recent focus on indie games has resulted in an impressive downloadable library, but there’s something to be said about having a portable blockbuster title. 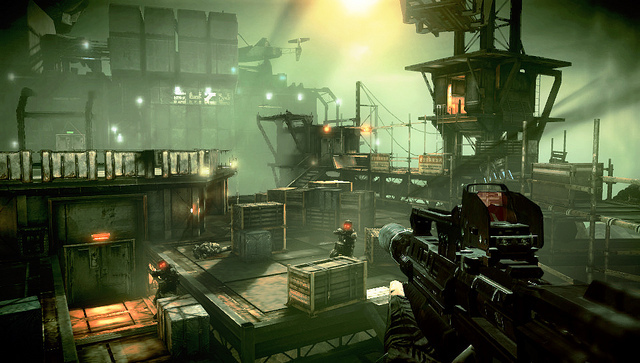 Enter Killzone: Mercenary, the first FPS worth playing on the Vita. Money is the name of the game in KZ:M, as you play a mercenary by the name of Aaron Danner, a man who has no allegiances to either the ISA or the Helghast. Basically, he goes wherever the money is, and this lack of devotion offers a fresh look at the ongoing battle between the two sides. In the game’s single player campaign, money is acquired by killing enemies and scavenging supplies, with headshots and silent takedowns being worth the most. This cash can in turn be used to purchase ammo, new weapons and special VAN-Guard equipment at conveniently located Blackjack stations scattered throughout every level. By unlocking more and more equipment, you can customize your loadouts as you see fit. Prefer to go the stealth route? Buy some light armor and a silenced handgun, and you’ll be able to sneak past most enemy-infested areas. If you would rather go in on full-on badass mode, you can load up with some heavy-duty weapons and go nuts. The choice is yours, and you can use these loadouts anywhere and anytime you want. The campaign, while lacking in memorable set-pieces, is still good fun, but it is also rather short. I finished my first playthrough in a mere four hours, though beating the game does unlock multiple new ways to play each level. 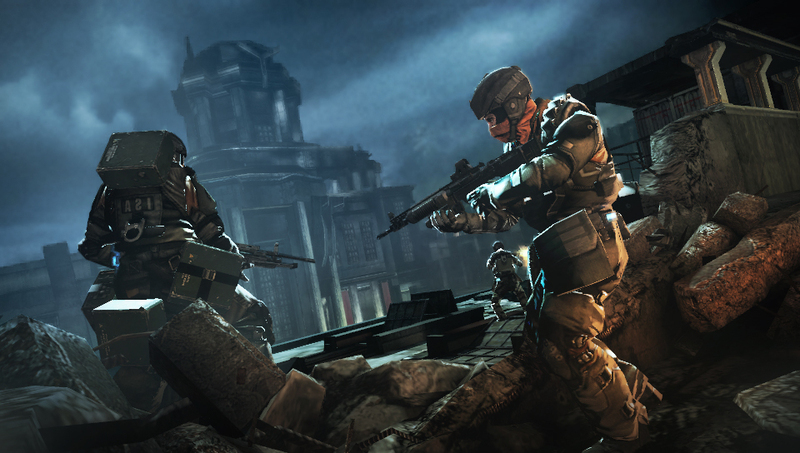 Every single player mission can be replayed in the form of three new contracts — covert, demolition and precision. Each of these contracts require you to play the level in a different manner while providing several goals that must be accomplished in order to earn the full amount of money. Although it can feel redundant to play through each level multiple times, there is plenty of replay value here for those willing to do so. However, it’s clear that the meat-and-potatoes of KZ:M is its multiplayer mode. Thankfully, it does not disappoint. There are three ways to play online: free-for-all, deathmatch and warzone. The first two are self-explanatory, but warzone is easily the highlight of the group. In this mode, you join a 4v4 battle that lasts for five rounds, each one with a different goal than the last. For example, the first round requires teams to collect the Valor cards from fallen enemies. Another round forces teams to hack VAN-Guard capsules that have fallen from the sky. While every round is a variant of the same goal (kill the enemy and get more points), they are different enough to keep every game fresh. Rather than go the conventional XP route that many FPS games use online, KZ:M uses a unique Valor card system. By playing well (and often) online, you can earn a higher-ranked card. If you play poorly, your card goes down in rank, also making you a less valuable target to scope out. Killing enemies online also makes them drop their cards, which in turn are worth a little extra cash. This is an invigorating spin on the FPS online formula, and the card-collecting has a “gotta catch ’em all” feel. 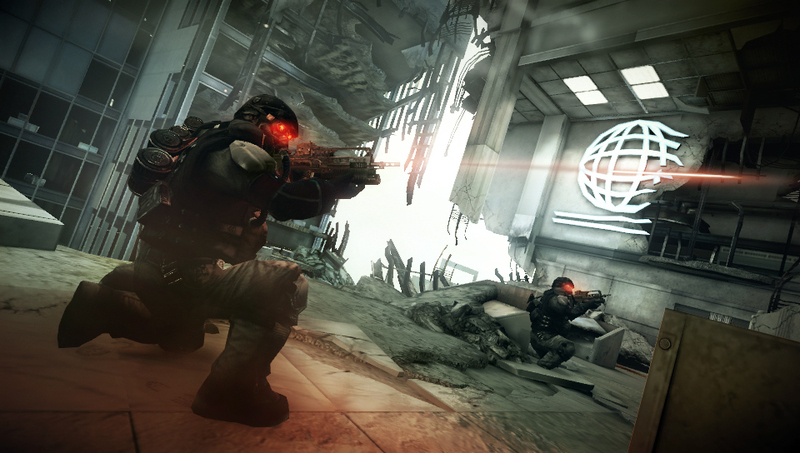 As for the transition of Killzone‘s console gameplay to a portable device, well, it’s damn near flawless. The controls are intuitive and easy to get the hang of, with the only major difference being that sprinting is performed by double-tapping a button rather than pushing down the analog stick (not possible on the Vita, of course). There are a handful of touch screen commands as well, though all of them mesh with the button controls organically. This is also a visually stunning game, not far off from an early PS3 title. It’s easily one of the best-looking games for the Vita, and if you’re looking for a title to show off the system’s power, this is about as good as it gets. 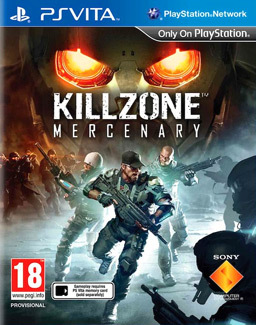 With its replayable single player campaign and addictive online multiplayer content, Killzone: Mercenary has a lot of bang for its buck. This is an impressive portable effort, one that will still likely be looked at years from now as one of the system’s crown jewels. If you’ve been craving a high quality FPS on the Vita, this is exactly the game you have been looking for.